This new bilingual site was developed to more effectively reflect our organization’s refreshed identity (which was launched in 2017). 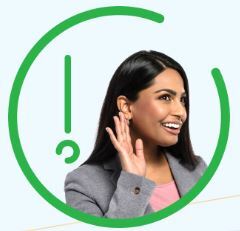 Present throughout the site are images of the artists from our current PSA Campaign, which clearly connects Ad Standards’ website and PSA program. There is also more visual reliance on the Ad Standards multi-color logo, to consistently represent the new Ad Standards look and feel. Beyond the new design elements, another important feature is that our website is now mobile responsive. This was of utmost importance, to ensure that Ad Standards services are easily accessible across all devices. 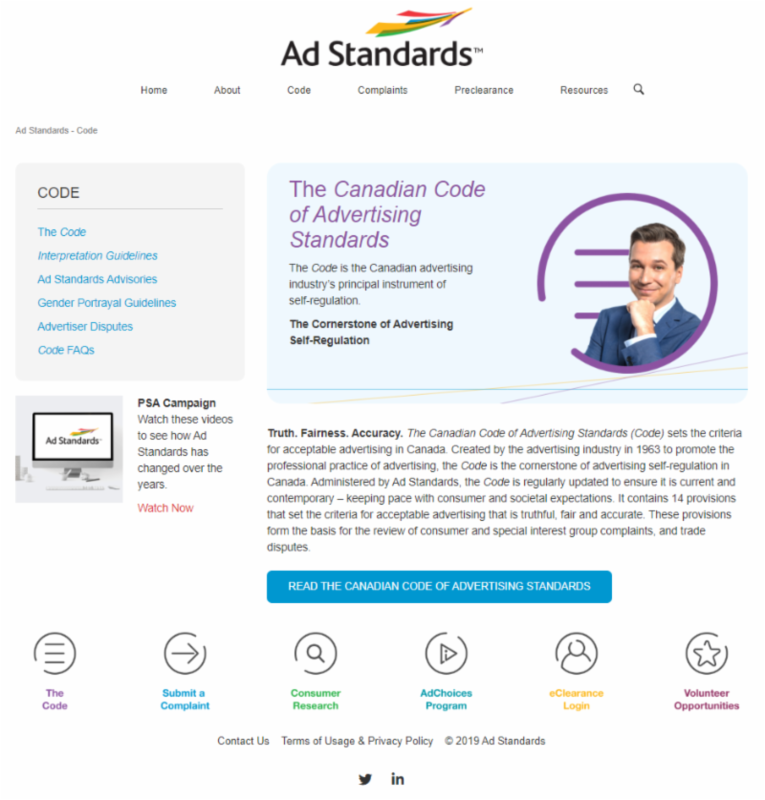 Adstandards.ca can now be visited anytime and from anywhere! There will be no live Hearings by the Ad Dispute Panel; the only materials the Ad Dispute Panel may consider in their deliberation are the written submissions from the complainant advertiser and the defendant advertiser. 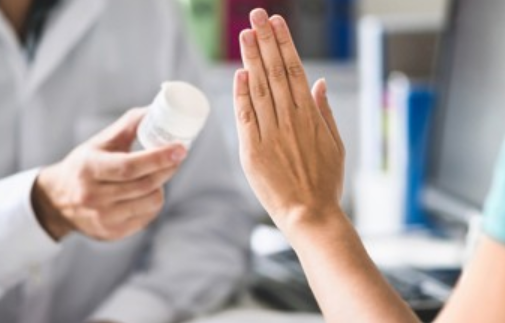 The Ad Dispute Panel will be composed of three industry and legal professionals, rather than five. 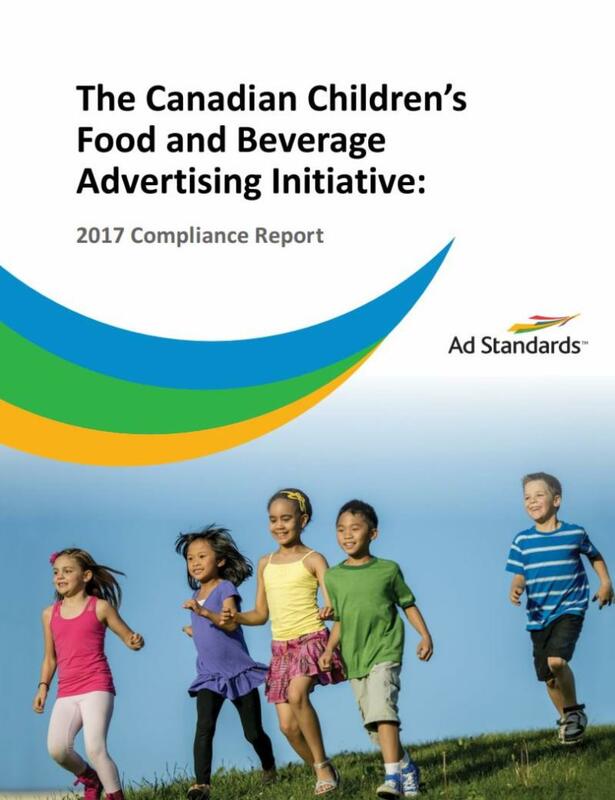 On November 15, 2018, Ad Standards released the Canadian Children's Food & Beverage Advertising Initiative: 2017 Compliance Report . The Report confirms the high level of compliance by all companies participating (Participants) in the Canadian Children's Food & Beverage Advertising Initiative (CAI) with their program commitments from January 1 - December 31, 2017. 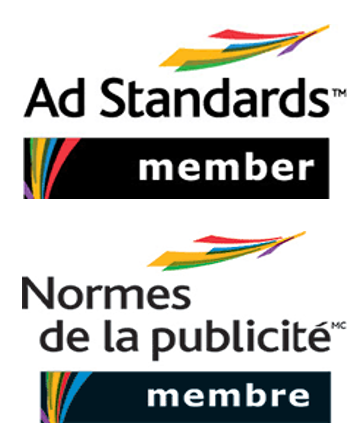 As Canada’s national, independent, advertising industry self-regulatory body, Ad Standards serves as the CAI program administrator. Learn more about the CAI . 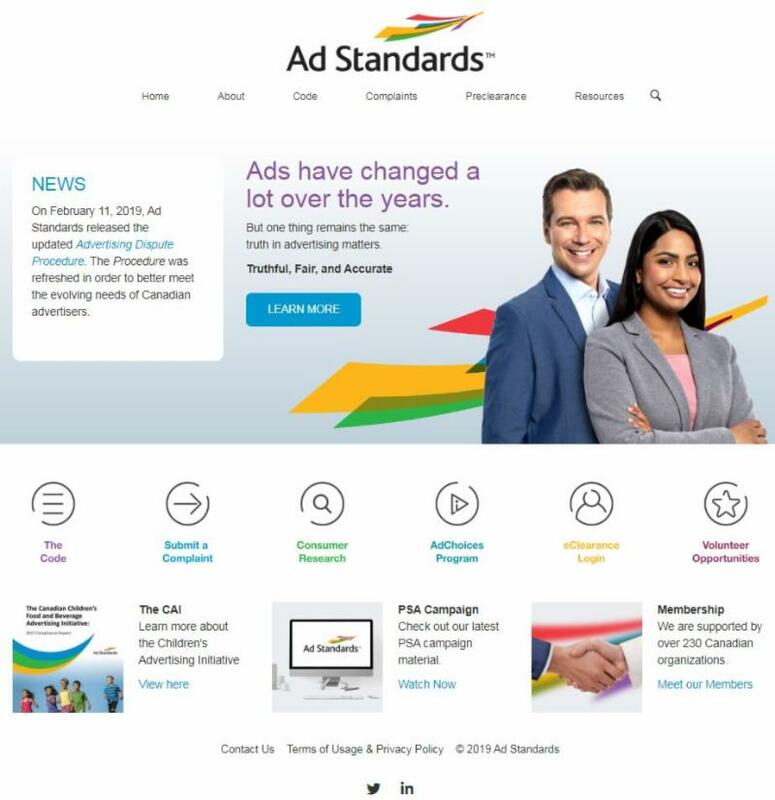 Ad Standards Members get $50 off; contact Randy Sageman to learn more. 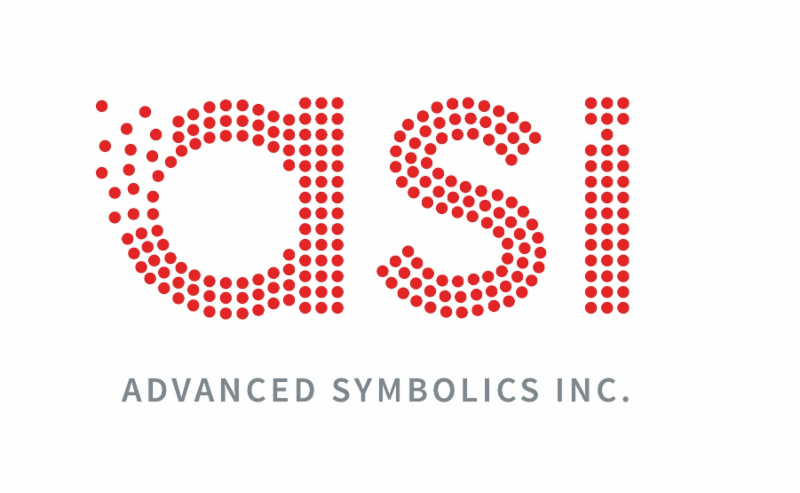 Advanced Symbolics Inc. (ASI) is an Ottawa based, artificial intelligence company that uses their patented AI for market and behavioural research. ASI works in 15 countries with clients in a wide range of industries and sectors, including retail, consumer branding, health care, finance, transportation, and government agencies. 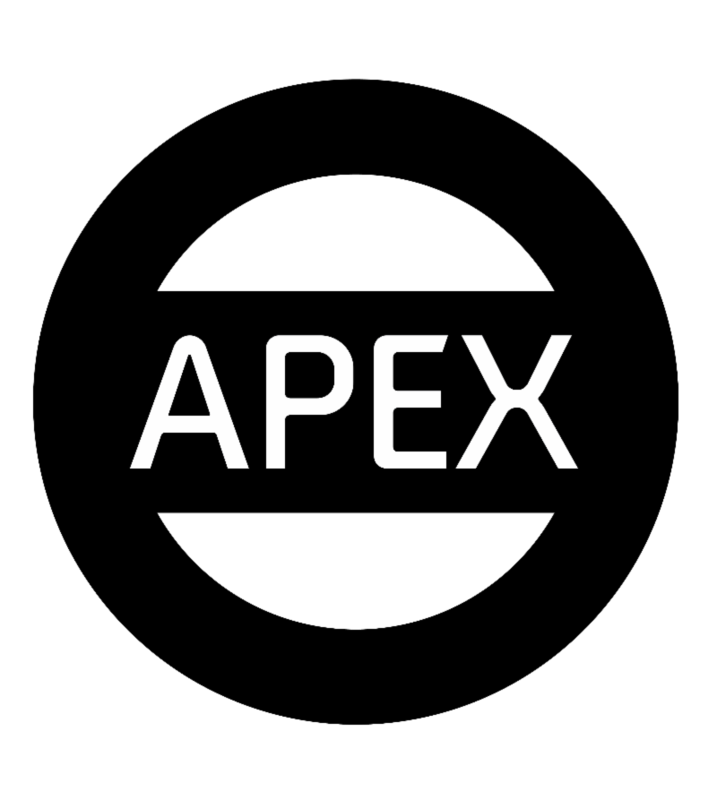 Founded in 1998, APEX Public Relations Inc. is now a mid-sized, full-service, Canadian-owned and operated public relations agency based in Toronto. In 2013, ruckus Digital, a division of APEX PR, was launched to focus on customized digital/social content programs, design/animation services as well as video production services. Brampton Transit (BT) is a public transport bus operator for the City of Brampton that began operations in 1974. Brampton Transit received the Service Excellence award at the Canadian Urban Transit Association (CUTA) annual conference in Toronto to recognize the ridership growth on Züm Bus Rapid Transit service (BRT). 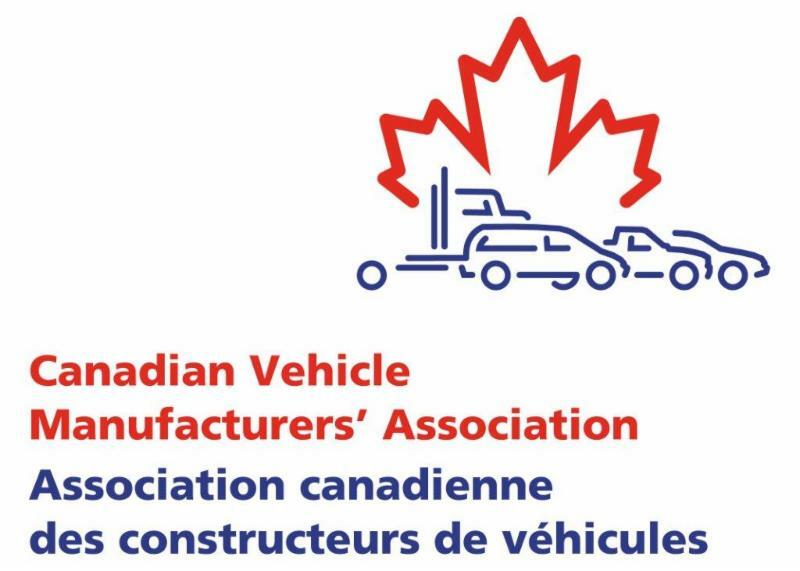 The CVMA has represented Canada’s leading vehicle manufacturers (FCA Canada, Inc.; Ford Motor Company of Canada, Limited; and General Motors of Canada Company) for more than 90 years. CVMA participates in the Voluntary National Automobile Advertising Guidelines initiative which is administered by Ad Standards. Founded in 2013 as a Canadian electronics manufacturing consulting firm, KS Circuits has expanded into designing electronics, research and development of technologies and manufacturing electronics for OEM. This is a new venture for KS Circuits introducing new methods and technologies into the OOH advertising industry. Paradigm is a creative consumer public relations, social media and engagement agency in Toronto. 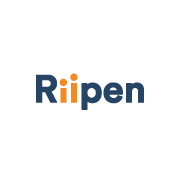 With offices in Vancouver and Toronto, Riipen works with 150+ post-secondary educators and companies to set up real world projects where students can apply for internships and gain practical work experience in several areas, such as marketing/communications, info technology, HR, change management, market research, engineering. 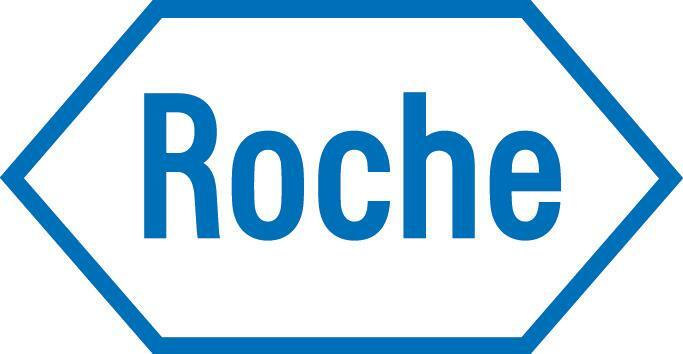 Roche Diabetes Care develops blood glucose monitoring systems for diabetes management systems and services primarily known by both patients and healthcare professionals for its Accu-Chek portfolio. We encourage Ad Standards members to use our specially designed Membership Logo in their communications materials. Using this logo is an easy way to enhance consumer trust in your ads, as our Consumer Research indicated that a majority of Canadians (84%) are more likely to trust advertisements from Ad Standards members. Contact Randy Sageman for access to the logo.